Get ready for the TpT CYBER sale- Monday & Tuesday! 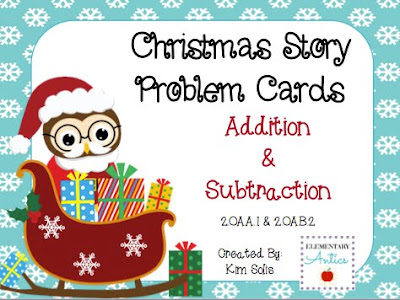 Just in time for the big TpT sale, I've posted a few new products for the holidays! My store will be 20% off and TpT is giving another 10% off if you use the code CYBER. 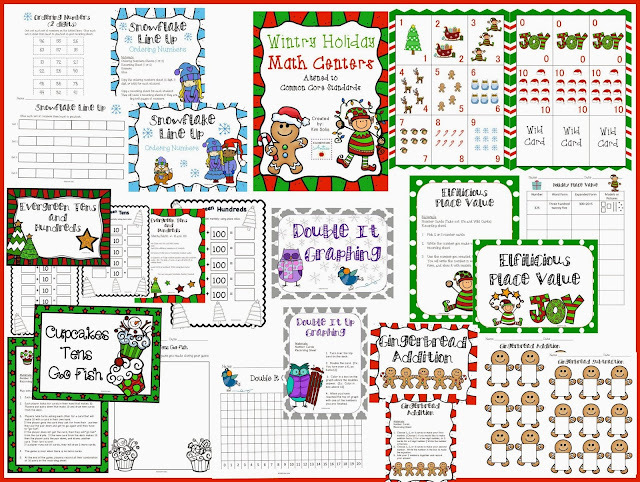 My first newly posted product is my Wintry Holiday Math Centers. I'll be starting some of these this week in my classroom! 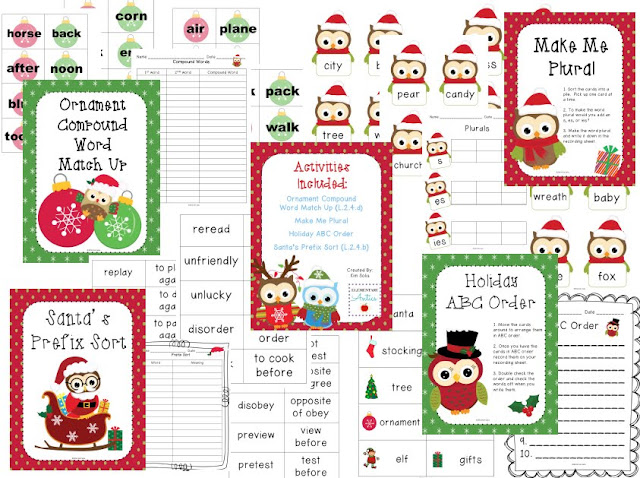 Also included in this Math Centers Pack are Wintry Holiday Themed Number Cards that are used with 5 of the 6 centers. The great thing about using the number cards is that your students can visit these centers multiple times and each time they will work with different numbers! I've also posted Whooo's Ready for the Holidays? This is 4 Literacy Centers or activities. You can get them both together as a Holiday Center Bundle here for a little savings!